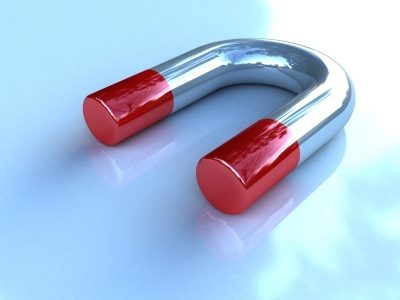 Why your business blog should be your main customer magnet! Content marketing is all about presenting valuable, relevant and interesting content to your target audience and making them aware or your business, attracting their attention and positively engaging with them. Interest in content marketing has increased significantly over the last two years or so – the amount of worldwide online search queries for the term ‘content marketing’ has more than doubled – as has its relevance to how brands and businesses present themselves online. Not so long ago, we were all obsessed with making sure every page of website content had the optimum amount of key words and phrases to get us up the search engine rankings – often with little thought for the overall quality of the content. However, in recent years, the search engines themselves have become ever more sophisticated and things really are changing. Frequent Google algorithm changes – particularly that of Panda and Penguin that will sniff out duplicate content, keyword stuffing, and false back linking, now consigns errant websites to lower search rankings – have placed a renewed emphasis on the importance of quality within online marketing. It reflects the increasing amount of time we all spend online searching for information and our demand and expectations of search engines to produce high quality results. I wrote about how businesses can create a customer magnet quite recently, and suggested how even the smallest business can effectively utilise content marketing, and where better to start than your blog. Often overlooked or pooh-poohed by some as now social media ‘old hat’ or the domain of bored housewives dabbling in business, I firmly believe that blogging can become the linchpin of a small business content marketing strategy – if it’s done properly, it attracts customers to your core marketing asset, your website. And I have real and impressive results from several clients (and my own business) to prove it! Last October, Econsultancy published its first ever Content Marketing Survey Report, a survey of more than 1,300 marketers working for brands, agencies and publishers. The report throws up some very interesting findings, including the belief that content marketing will become even more important over the coming year, and that blog posts are right up there in terms of content used for marketing purposes (63% of in-house marketers utilise blogs). It’s not really rocket science. A blog provides the facility to add more pages to your website, add fresh content regularly with a tone of voice which isn’t (or at least shouldn’t be!) salesy, and provide reassurance and credability to your business message. Hubspot research found that businesses with websites that have 401-1000 web pages get six times more leads than those with 51-100 pages. 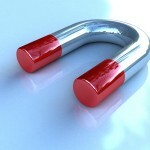 So by creating more offers and blog articles, you create more opportunities to rank in search engines. The tipping point appears to be over 50 pages when you start to see the full SEO benefits. I’ve been working with several clients recently on just this issue, one of which is a photographer. We’ve looked closely at her blog and how it can be used more proactively for SEO and content marketing. Google Analytics really helped to identify specific blog topics that had lower bounce rates, retained reader attention for longer, were the most popular, and – all important – effective in attracting customers to her website. From this, we were then able to agree a core theme for the blog and identified categories and topics that will be the focus for the next six months. I also helped Ginny understand her blog architecture in WordPress and key fields that are vital to SEO so we can optimise each blog post for maximum impact. Tip: use the easy to use WordPress plugin called WordPressSEO by Yoast. The key to all this, of course, is giving value to your readers, providing content that offers something of genuine interest or use to your target audience. Not just content created for Google! And it’s not just about telling them what you want to say; it’s also about finding out more about your audience and learning what really interests them (using your Google Analytics data or simply asking!) – it’s that all important dialogue that will help you discover what it is they want from your type of business so that you can fill that gap and be the business they choose to buy from.